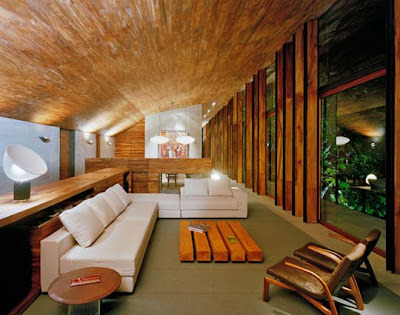 Forest house has a basement that can be used to garage a car and a place to relax. 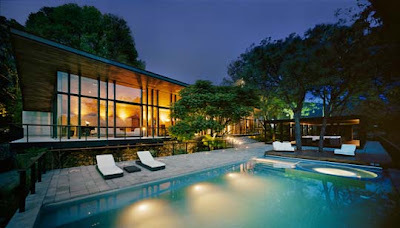 A swimming pool behind the house to decorate the forest park, with lounge beds, as well as in her living room benches and tables that exist in this space almost quasi-made from a mixture of wood. Bathroom and a beautiful bed with the materials of wood. 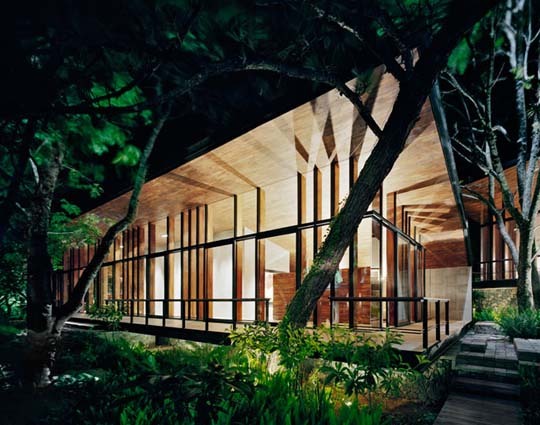 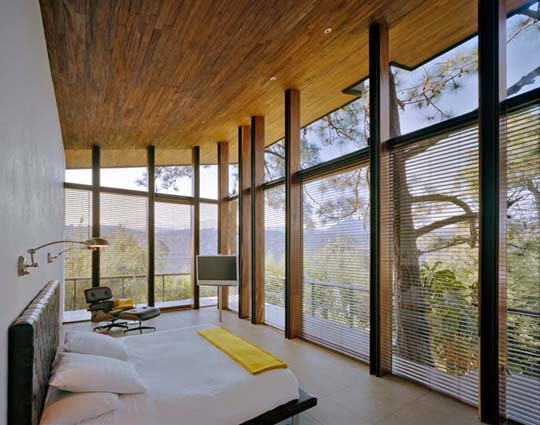 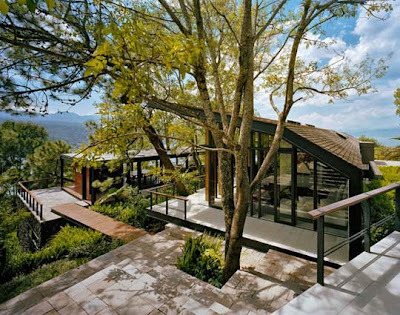 Forest home is located in Mexico.